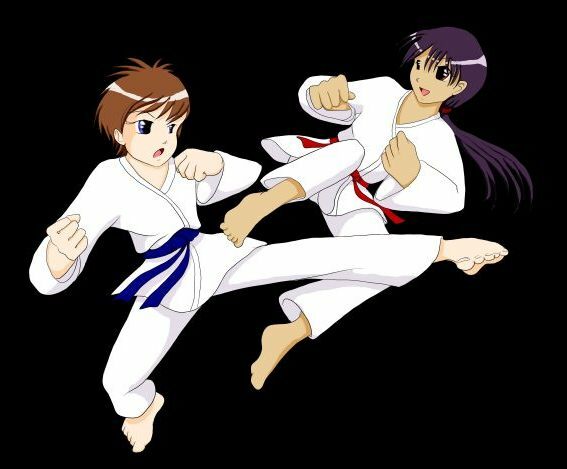 This image was requested by my Tae Kwon-do instructor after watching me put comics together on my laptop while waiting for a lesson, and is currently adorning our school's front page. It was in fact based off a comic panel by Sarah Burgess. It was sketched in pencil, inked in Comic Works and coloured in Paint Shop Pro, spring 2006.